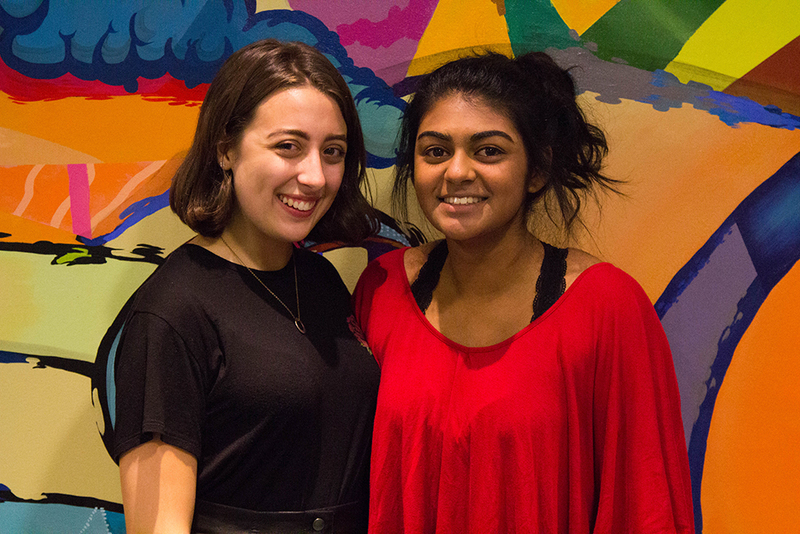 Freshmen Rashona Kumar and Bethany Knickerbocker are working together to start the first Camp Kesem at Emerson. When she was 10, Rishona Kumar went to Camp Kesem, a weeklong summer program led by college-student counselors for children with parents who have cancer. Now, Kumar is looking to help the next generation by starting a chapter of the camp at Emerson. Chapters of Camp Kesem plan their own summer programs throughout the school year. There are over 100 camps across the nation, and Kumar hopes to establish five new ones as part of the Emerson chapter of Camp Kesem. No locations have been confirmed yet, and the volunteers from Emerson will help find those locations. She is looking for student volunteers and board members to help establish Camp Kesem at Emerson by summer 2019. Kumar said volunteers would spend the school year fundraising and would eventually become counselors for one of the summer sessions. Student board members would establish and run the camp, do outreach work, and get the word out. The organization needs 35 student volunteers to plan the five proposed camps before they can apply to officially become a chapter. When freshman Bethany Knickerbocker saw Kumar’s post on Facebook last month promoting the new chapter, she knew she wanted to get involved. Her mother had been diagnosed with cancer. The program is broken into a youth group and a teen group. Kumar and Knickerbocker said they hoped to focus many of the activities at Emerson’s chapter around art. Kumar said she also remembered campouts, pizza parties, color wars, and fashion shows from her time at Camp Kesem. Freshman Anna Massey, who said she plans on helping direct the program, grew up going to a different summer camp in her home state and eventually became a counselor. Though she didn’t attend Camp Kesem, Massey said she thinks it’s an enriching and life-changing opportunity for children. “I grew up always going to camp, and camp is something that changed my life,” Massey said. “Those kids whose parents have cancer need that escape in their lives, and just being able to offer them a week to forget some of the hardships they’re going through is magical."